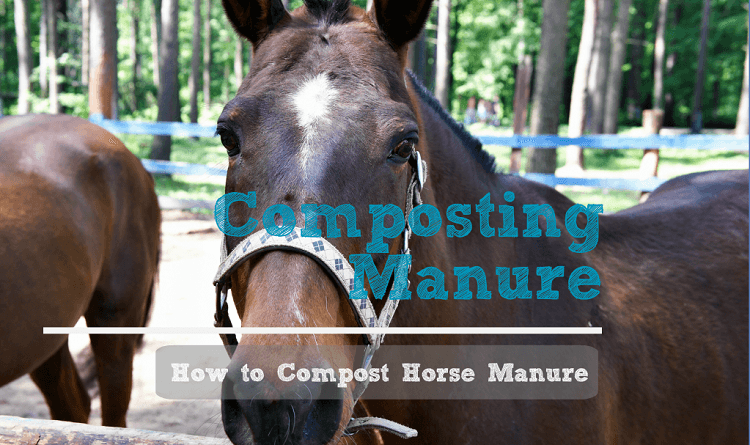 How do you begin composting manure, whether it be chicken manure compost or for composting horse manure? Many people that have backyard chickens or horses have an excess of manure that can add up, leading to nuisance flies and smells. Let’s first address the question of manure and its’ issues, this includes horse manure, chicken manure, cow manure, llama manure, goat or sheep manure, and even dog poop. Is it Safe to Use Raw Manure in My Garden? Raw manure can potentially have plant or animal diseases that you don’t want your vegetables in contact with. Composting manure solves these two big issues. So I say NEVER add raw manure to your garden. 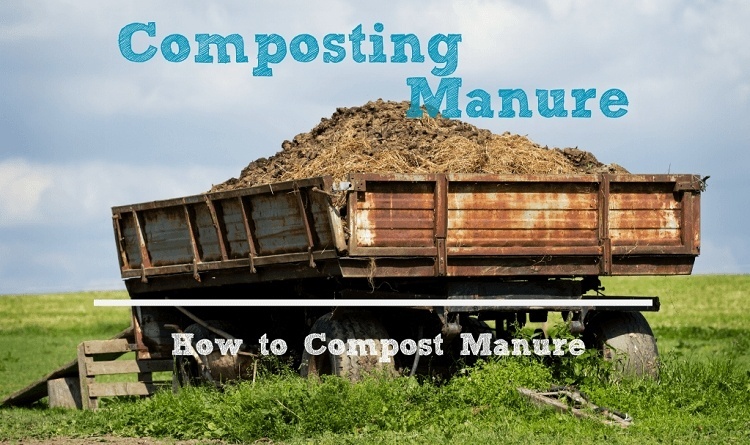 So once horse manure or other animal manure is composted it provides amazing benefits to the garden and also serves other purposes such as decomposing toxins such as herbicides and helps retain nutrients and water in the soil. A friend of mine owns a sizable horse stable in a suburban area and had a big issue of what to do with the “piles” of horse manure that was adding up. Composting manure quickly was his main objective to turn this problem over. To meet his objective of composting manure quickly and safely, after months of research the best method he determined was to use the hot composting method, which breaks down the horse manure into horse manure compost. 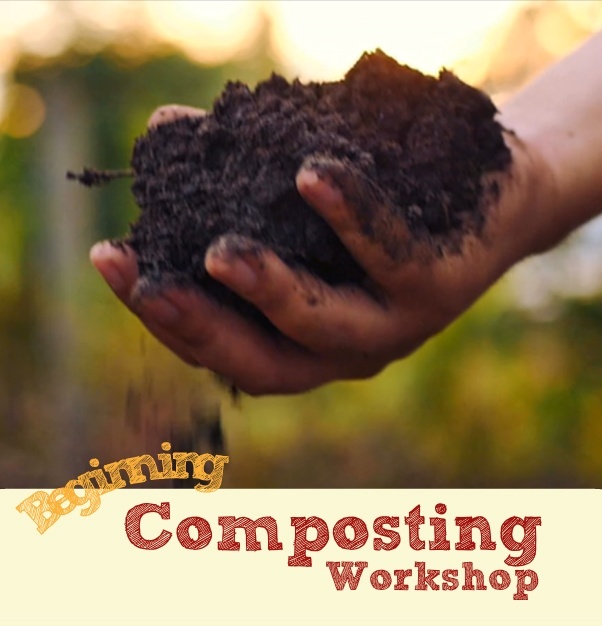 Learn more about composting 101 here. If you are asking what is thermal aerobic composting – it is simply the breakdown of any organic material in the presence of oxygen and heat. 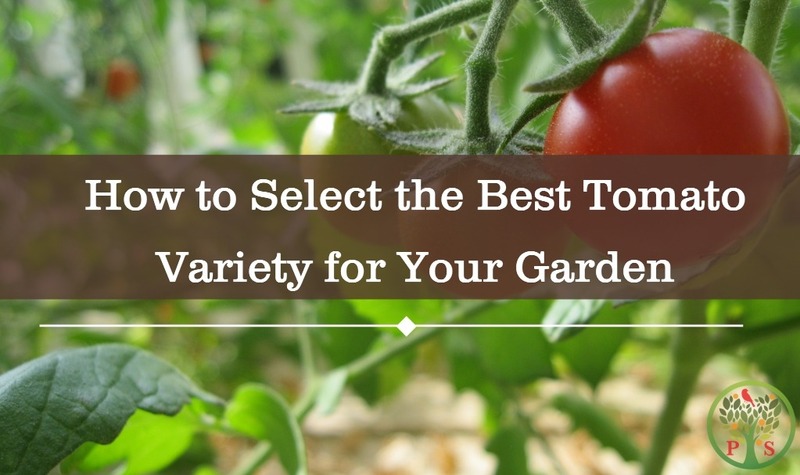 It’s the best compost method to compost manure quickly. By using heat and oxygen in the composting operation, the heat kills the weed seeds and any potential diseases that could be in the horse manure. Oxygen is critical to keep the beneficial microbes alive as they are busy breaking down the manure. Turning the pile is also essential. Everyone wants a “no turn” pile but the issue arises that the outside of the compost pile doesn’t get thermally heated, so you end up with compost with weed seeds and potential pathogens. Not good. So thus the question of “How do I compost horse manure?” is answered with: hot composting it. You will compost manure quickly using this method and those manure piles will start disappearing. Chicken manure can be a bit stinky too, but in its own unique way. Chicken manure has a lot of ammonia in it, which is not pleasant or healthy for either you or your chickens to breathe in. It also attracts rodents and flies. Raw chicken manure is too potent to use directly on your flowers or vegetables, and can damage plant roots and even kill your plants. But chicken manure compost can really benefit your plants by providing slow release of nutrients, when your plants need them. Composting benefits are numerous, and this is not the only good thing you will do for your garden, and the environment. Composting chicken manure is very different than horse, cow or other ruminants in that it has a very high nitrogen content. You may have heard about carbon to nitrogen ratios in composting, well this has a very narrow C:N ratio. Thus there is a lot of nitrogen for each carbon present. I know, a bit technical, but to get down it composting chicken manure means a lot can go a long way. This narrow C:N ratio means that that some of the composting microbes will really feast on it, causing your compost pile to heat up very quickly. That’s great to kill all the weed seeds, but too much of a good thing could cause your pile to heat up too much, causing it to spontaneously combust! Not good. 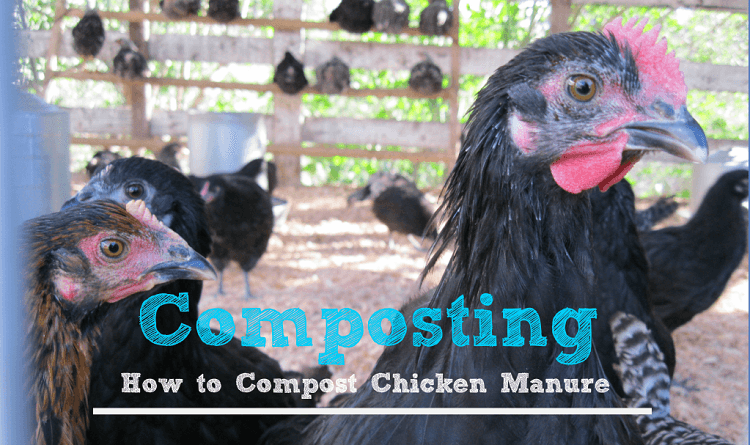 So let’s dive into a bit on how to compost chicken manure. First, chicken manure will be a small part of your compost pile. I know you want to compost manure quickly but just don’t use too much! Other composting classes teach that 30:1 ratio is ideal for your compost pile, but who knows how to calculate that! Way too complicated! Here’s a shortcut. Chicken manure has a C:N ratio of about 10:1. So to keep it simple, 10% of the total volume of your compost pile should be chicken manure! 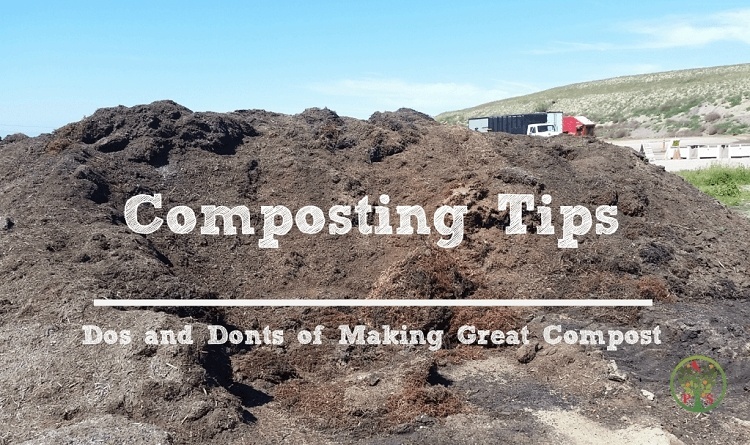 This is assuming you are hot composting to make compost quickly and safely. What about chicken bedding? In all practicality the chicken manure will be mixed in with the chicken bedding. Luckily we don’t have to separate out the two, but you will need to estimate about what percentage the chicken manure is compared to the bedding (by volume). If you know the size of your compost bin or the compost pile you are building, simply figure out what 10% by volume would be based upon how much chicken manure vs bedding you have at hand and mix in that volume of material. The bedding, typically being some sort of wood chips, is considered the “brown” or “carbon” material in your pile, creating an environment for beneficial fungi do its thing in your compost. Warning, manure, whether it be chicken, cow, horse or any sort of “poop” can harbor disease and pathogens such as E. coli and Salmonella. Use gloves when handling raw material and wash your hands and the gloves thoroughly when done. Remember never to apply raw manure to garden. The presence of disease and pathogens in the uncomposted manure may harbor disease organisms that could contaminate vegetables, particularly leafy vegetables such as lettuce and spinach as well as root crops including carrots, radishes and beets. Raw manure should always be hot composted, with the pile heated and turned on a set schedule to ensure all pathogens and weeds are killed, so it’s safe for your garden.